of fine kitchens, bedrooms, and home studies. on display at our showrooms. Bringing unique and affordable Kitchens, Bedrooms & Home Studies to Manchester. Each Fineline kitchen, bedroom, or home office project is completely bespoke and designed for your requirements. Real kitchens and bedrooms for real people. 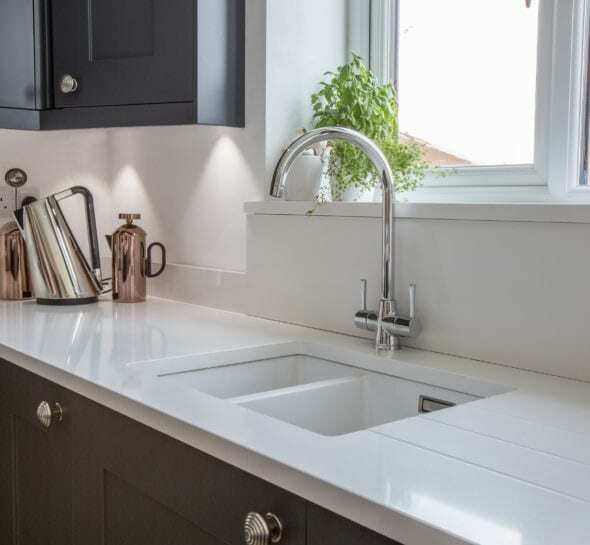 Fineline Interiors is renowned throughout the North West for supplying high-quality, classic and contemporary kitchens and kitchen design from our kitchen showrooms in Manchester and Warrington. 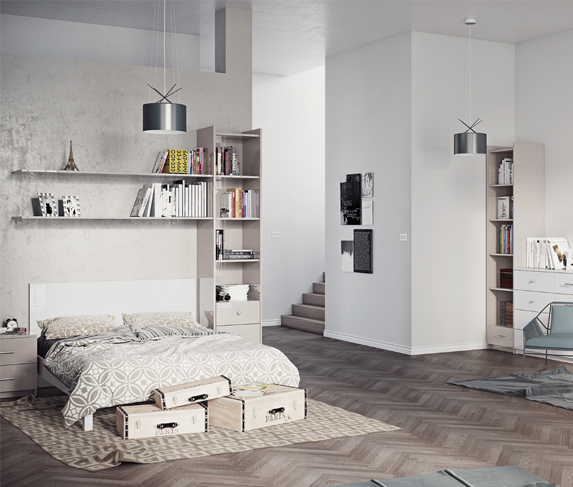 Looking for quality fitted bedroom furniture across Greater Manchester and Warrington? Rest assured, at our bedroom showrooms, you’re in the right place. Sleek and functional home offices in Manchester. Take a look at some of the recent projects to see how we have transformed our customer space. Learn about what products we have used to do so and also give you some inspiration for your own project. We are delighted with the work from start to finish, an excellent job. An extra special thanks goes to Lee. He has high professional standards, was always eager to start work and always made sure he cleaned up the room before he left each day. When my husband and I approached Fineline, we already had a good idea of the look we wanted to achieve. After previously having a small kitchen with little space, we decided we wanted something ultra-modern & contemporary for our new kitchen/dining/living extension that was completely streamlined with little space for clutter. As soon as we visited the well planned showroom we were quickly able to determine the colour and finish we wanted and with the help of Neil the designer, we were able to finalise the finer points to achieving a fantastic well-functioning kitchen at a competitive price that really does have the ‘wow’ factor. Gary, the fitter was reliable and tidy throughout the project and he did an amazing job. Thank you Fineline for helping us to achieve our simply stunning kitchen, we wouldn’t hesitate in recommending you to our friends and family”. Thank you Fineline for helping us to achieve our simply stunning kitchen, we wouldn’t hesitate in recommending you to our friends and family. Fineline has totally transformed my kitchen. It’s now a room I want to spend time in rather than avoid. I can’t thank everyone enough. From concept, through to creation and completion Fineline were brilliant. We wanted a totally modern kitchen and living space at a competitive price and that is exactly what we got. Our new kitchen is high end and top quality and the service we received was second to none. Your fitters were prompt, professional and tidy, and as the project went on you kept us up to date with progress so we could plan ahead. The showroom is a well planned and pleasant and had everything we needed to create the perfect kitchen. We wouldn’t hesitate to recommend you to friends and family. 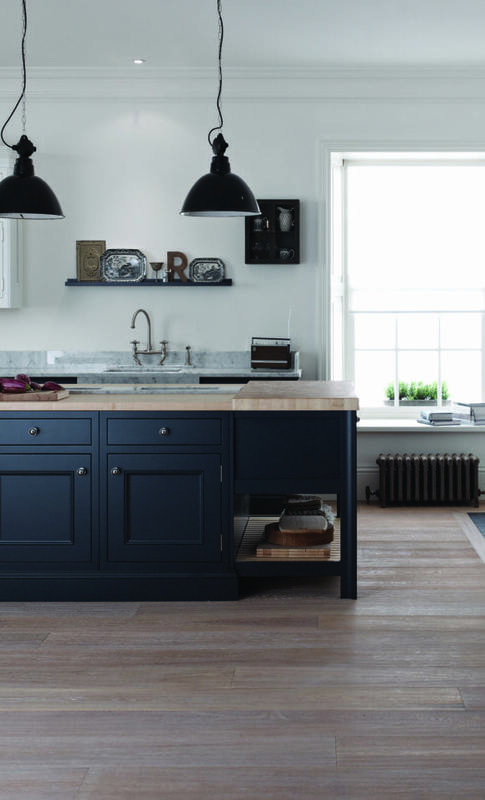 This coming Saturday (June 17th), it’s the first of our fabulous Neff cookery demonstrations for t..
Short on kitchen space - which would you rather have?